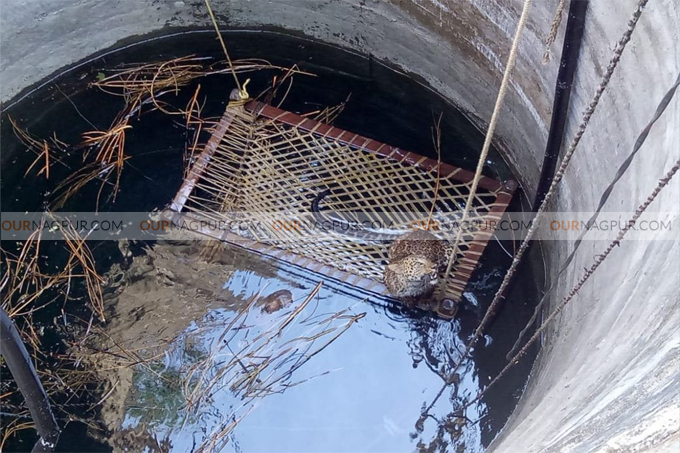 Nagpur : The forest officials rescued a leopard that had fell in a well in the Khapa forest range and released it into the nearby forest. The villagers noticed a leopard in the well and informed the forest officials. On getting information, a team of forest officials reached the village with trap and necessary equipment. They then left a swing into the well and made the leopard climb it. As soon as the leopard climbed it, the forest personnel pulled it up saving the big cat. It was taken to the veterinary clinic and after examination was released into the nearby forest. The beast did not harm any of the villagers it was reported. However, how did the leopard enter the villager was not known.